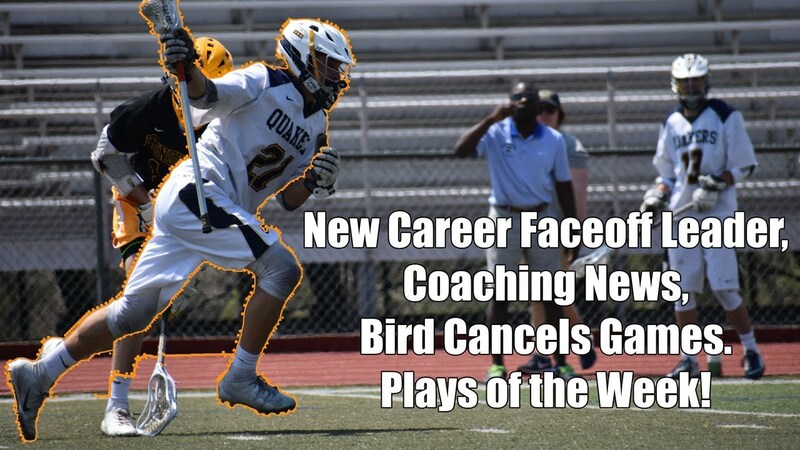 Gavin Tygh from Penn Charter (Pa.) became the nation’s leader for the most career faceoff wins with a 15-for-21 performance against Lawrenceville (N.J.) on Saturday. *Editor’s Note: Ierlan’s college bio lists him with 1,135 career wins, but Victor head coach Jim Andre has him with 1,119. For the purposes of this article, we are using the college totals to ensure the record is broken. St. Christopher’s (Va.) was winning quietly for a few weeks, but when you post wins over Cardinal Gibbons (N.C.) and St. Stephen’s & St. Agnes (Va.) in back-to-back games, it tends to get attention. The Saints also have wins over St. John’s (D.C.), Apex (N.C.) and Episcopal High School (Va.) this season. The defense has allowed more than nine goals in a game only twice this season and help a 10-3 Apex team to just one goal. The attack is led by Luke Valentine (Suwanee commit) with 32 points (23 goals, 13 assists), Will Tazewell with 28 points (14 goals, 14 assists) and Davis Gillenwater with 21 points (14 goals, seven assists). The defense is anchored by Cornell commit Wallace Walker who has 92 saves this season and is stopping shots at a 69 percent clip. Six players scored in the 11-8 win over St. Stephen’s & St. Agnes, led by Tazewell (three goals, one assist), Valentine (two goals, two assists), Hartley Jordan (two goals) and Gillenwater (two goals). NJ.com has a recap of the teams that are sporting undefeated records (at least through April 10). Among the teams highlighted are some of the usual powers, including a Seton Hall Prep (N.J.) team that is coming off a big win over defending Tournament of Champion winner Delbarton (N.J.). Connell Kumar leads the team with 23 goals, followed by Luke Blanc with 18 and Kyle Stephenson with 14. The Pirates also have wins over La Salle College (Pa.) and Malvern Prep (Pa.) this season. Mountain Lakes (N.J.) is led by Spencer Goodbar with 14 goals and Trevor Glavin with 14 assists. The 6-0 Lakers handed both Northern Highlands (N.J.) and Ridgewood (N.J.) their only losses of the season. The Lakers’ defense has held four of their five opponents to four goals or less this season. Dominic Pietramala from Boys’ Latin (Md.) had a bit week last week - totaling 10 goals and two assists in two wins. Pietramala scored three goals in an 11-10 win over McDonogh (Md.) to start the week, then totaled nine points in a victory over Loyola-Blakefield to cap it. The freshman scored seven goals and notched two assists in the win over Loyola-Blakefield to help the Lakers improve to 3-1 in the MIAA A Conference. Marty Cattie from Ocean City (N.J.) broke the program record for career goals with the 108th of his career last week. He passed Marc Implagizzo who set the record of 107 in 2011. The record for most career goals was the longest-standing record in Ocean City history.